In general, there are two markets for carbon offset: the compliance market and the voluntary market. The compliance market is created and is operating under mandatory national and international carbon reduction regulations. The voluntary market, on the other hand, operates outside of the compliance market and enables businesses, organizations and individuals to offset the carbon footprint caused by their day to day activities. 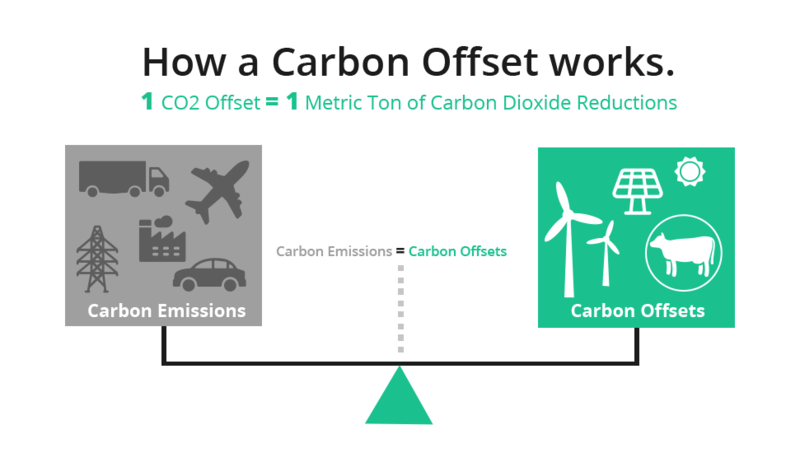 Offsets are viewed as an important mechanism to compensate the emissions you can not reduce and in doing so to achieve carbon neutrality and to balance economies. Normally in the form of a financial support for green projects, carbon offsettings do not only have positive impact on the environment, but also are creating jobs in developing countries and also supporting health and well-being in those regions. Offsetting your footprint, you are being not only environmental conscious, but also socially responsible. Offsetting carbon emission plays a key role in the fight against climate change and the voluntary carbon market is open to each and every single one of us. You can start offsetting today and support green projects as your personal to commitment to stop climate change and to not reach the point of no return.